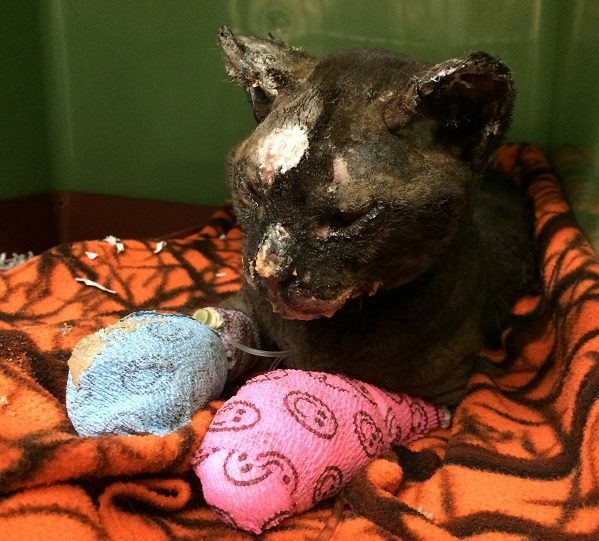 A cat who escaped when his family’s RV exploded is getting help for severe burn injuries at a Seattle animal hospital. 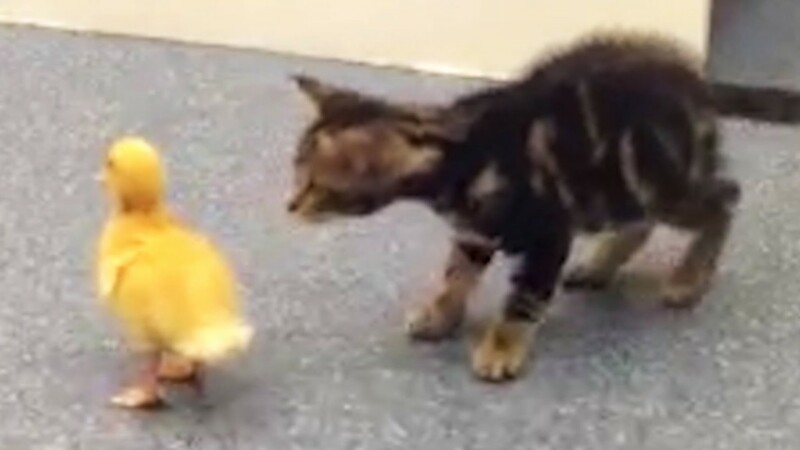 Kittens encounter several of life’s ‘firsts’ in this cute video. Watch! Bart, the miracle cat who returned from the grave, is healing, showing more personality, and learning to play. 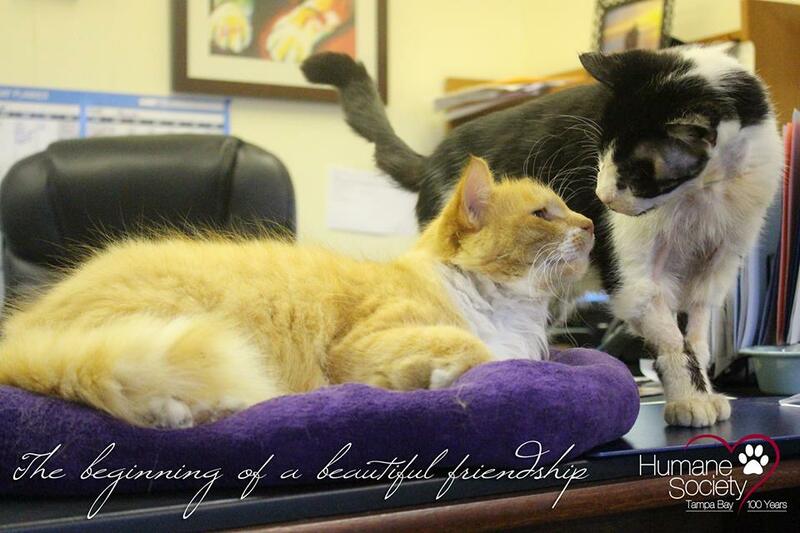 He has also made a new friend in another cat at the shelter. 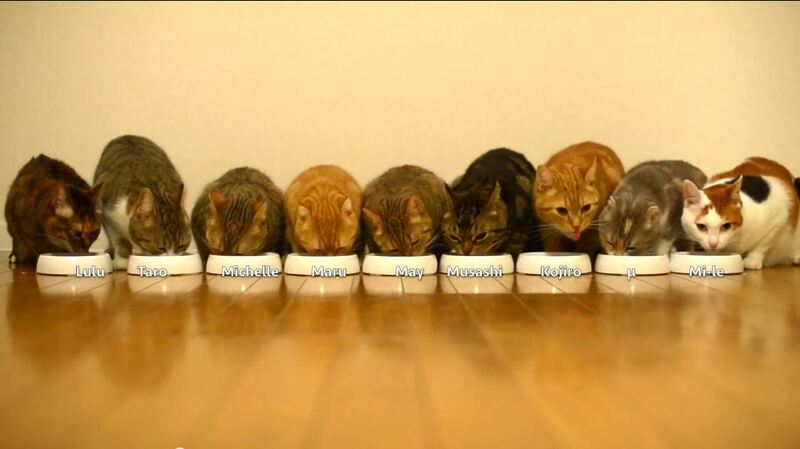 The 9 cats from the 9 cats blog and video channel line up in a neat row at meal time and enjoy their cat food all together. Watch their cool video! 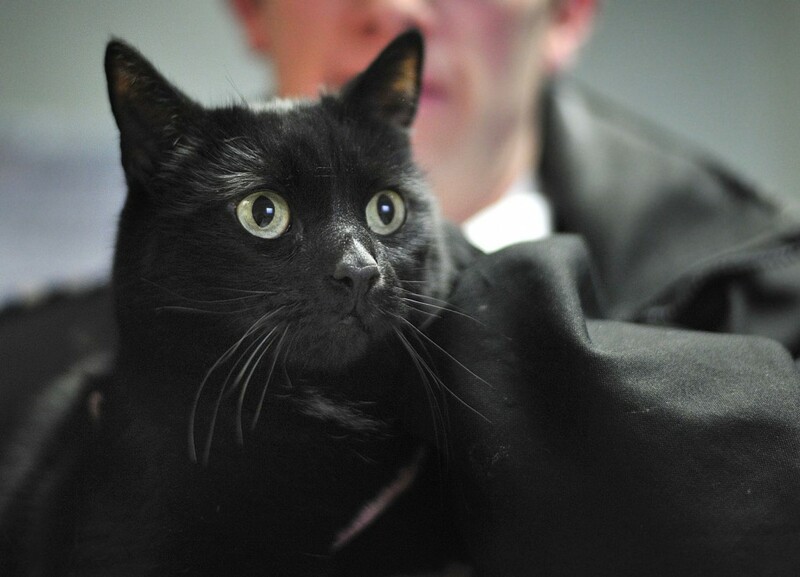 A lucky black cat was rescued from a car engine with only minor injuries after a terrifying ride trapped inside. Watch the cute behind the scenes footage of cat video star Marmalade’s photo shoot for a magazine cover. 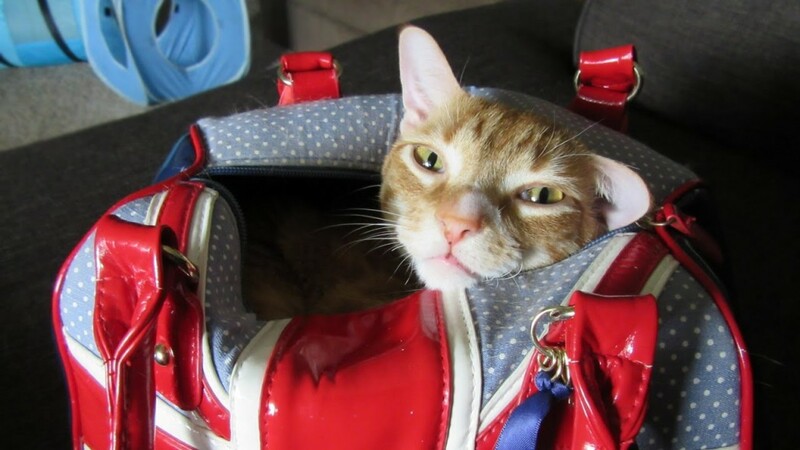 Marm is joined – and nearly upstaged – by his buddy Cole. 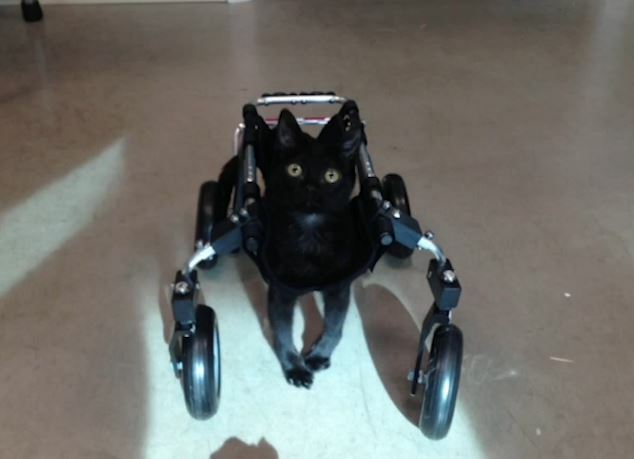 Mobility-impaired kitten Tumbelina was rescued by Valley Cats, Inc. and she was given a chance to get around on her own! 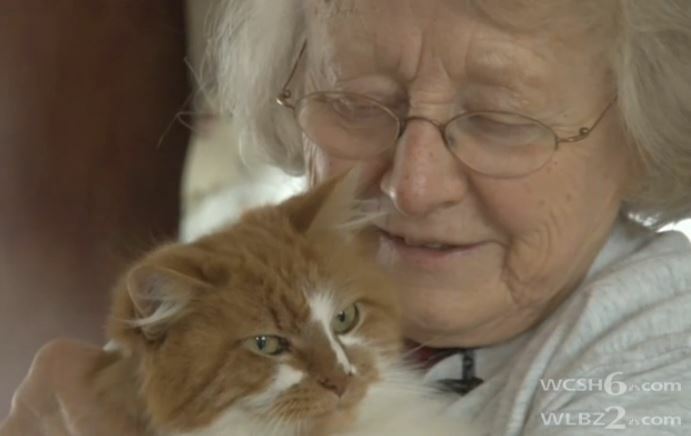 A Maine woman got a most surprising and happy reunion earlier this month when her beloved missing cat was found after almost 3 years. 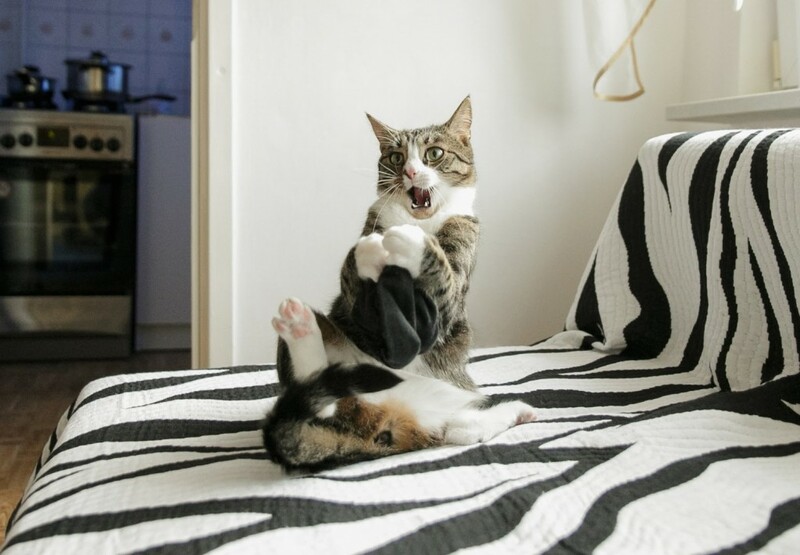 Kitten wannabe Nikita – now 2 years old – shows 4 reasons, why she’s the craziest cat in the world! 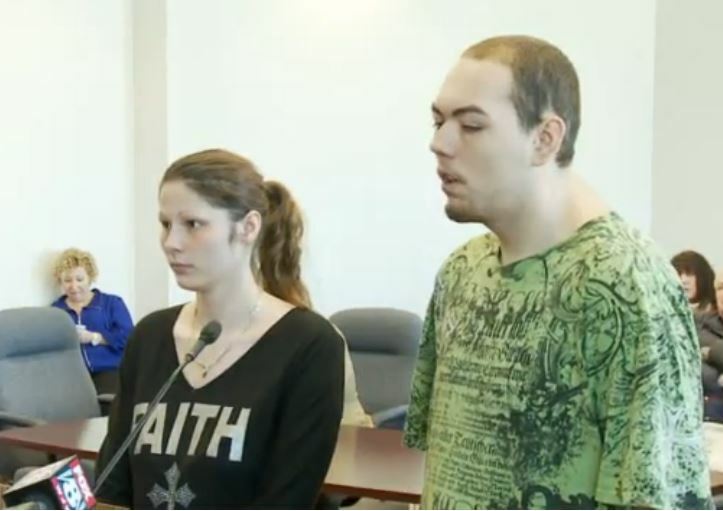 A man and woman seen on video last week tossing 2 cats in a game of catch pleaded guilty to two counts each of misdemeanor animal cruelty Wednesday.